Pollarding is the traditional management technique especially for willow trees (think Somerset levels and moors), and also for many urban and street trees. This technique involves removing the whole crown of the tree back to a single or multiple main ‘head’ or ‘bole’ from where it can re-grow a whole new crown. Therefore an old or large tree can be maintained within a certain ‘limited’ space to grow. In towns, street trees especially London plane and lime trees are often ‘high pollarded’, meaning they are pruned back to multiple heads from where they will re-grow to maintain a reasonable ‘sustainable’ crown size for their built up environment. Pollarding is typically carried out on a regular 5-10 year basis, generally in winter. 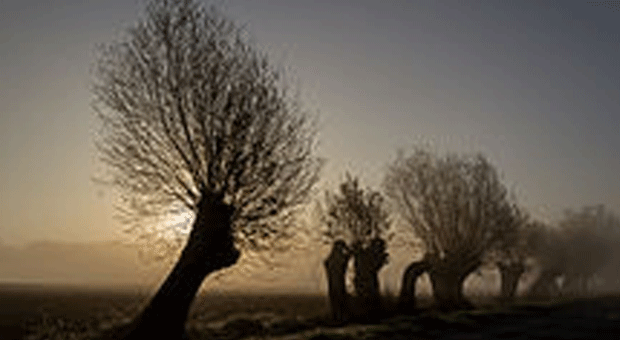 Some of the oldest or most veteran trees to be found in the British landscape are old pollards. The typical large, spreading old oak tree in a park or field has most likely been pollarded many decades (often centuries) previously. This can also happen naturally, without human intervention when large stems or boughs break off the tree in a gale, and grow again from the wound. In this way, sturdy and massive trunks can develop over many decades and centuries, and the crown can keep renewing itself. If you would rather not wait for the next gale to start pollarding your tree and would like a quote to reduce its crown size, please do make contact. Coppicing is the traditional woodland management technique where all the woody vegetation is cut down to stump level on a rotation basis (think hazel sticks) as the poles or sticks become the right uniform size for the desired use. Eg; Thatching spares, Woven hurdles / panels etc. Sweet chestnut and ash was managed in this way to provide a regular high-output firewood and charcoal source. 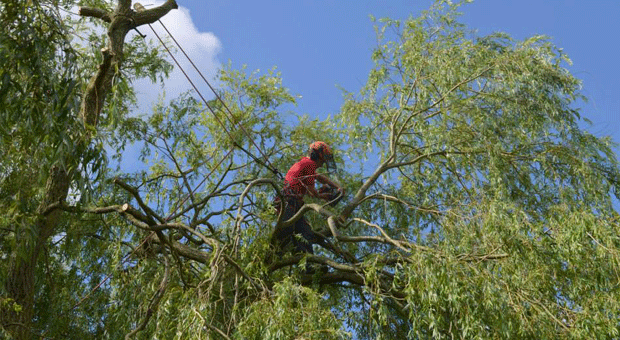 Based in central Somerset Arbortech Professional Tree Services host an experienced team of arborists & tree surgeons with the necessary training and experience to carry out your tree pollarding, coppicing, and Veteran tree management work to the highest standards.